A person’s medical health and history are extremely personal information, shared only with the most trusted individuals within their inner circle. Within that trusted circle, along with friends and family, are the medical professionals providing patients with care. Although required by circumstance, the trust between medical care provider and patient is as important as it is fragile. For medical professionals, keeping any and all personal information safe and secure is part of maintaining this trust. Maintaining this privacy is not only key to the doctor-patient relationship, but it is also part of a medical facility’s quality of care. The feeling of privacy and security associated with confidential patient information allows patients to feel more comfortable in their medical care facility. This increased comfort influences their willingness to return for care, and in turn the quality of their healthcare and speed of their recovery. Keeping this information secure is so imperative, in fact, that regulatory entities and laws, like the HIPAA Privacy Rule, require medical facilities to take certain measures to ensure that security. Soundproofing your medical facility is one way to safeguard patients’ information. Whether you’re soundproofing an MRI room, an exam room or an entire hospital, taking this step will stop others from hearing sensitive information exchanged within those walls. The Health Insurance Portability and Accountability act of 1996, more commonly known as HIPAA, is a collection of laws put in place to regulate the availability and security of individuals’ medical information. Part of HIPAA is the Standards for Privacy of Individually Identifiable Health Information, known more commonly as the HIPAA Privacy Rule. This rule set in place national standards, established in order to protect the medical records and personal health information of individuals. This information includes everything from health plans and diseases to general information like social security numbers and addresses. To protect this information, the HIPAA Privacy Rule requires medical businesses to take appropriate protective measures and observe certain protocols. Maintenance of these HIPAA requirements often involves maintaining certain protocols and practices. For example, employees of medical businesses cannot disclose patient information without the patient’s permission except under certain circumstances, which HIPAA outlines. Additionally, all businesses must notify their patients of their rights and the business’s practices in relation to those rights so individuals are aware of any privacy issues or concerns and can discuss them with their health plans and providers. A part of this HIPAA compliance, however, involves privacy within the medical facility itself. Part of the trust between doctor and patient involves assurance that the conversations held in the examination room are private and confidential. A person walking by the exam room or sitting in an adjacent room should not be able to hear these conversations. Any evidence or experience to the contrary could mean complaints, loss of business and a reported HIPAA violation. To ensure HIPAA compliance and make patients feel as safe and secure as possible with their medical conversations, medical business owners take action with HIPAA privacy solutions. This often includes equipping their facilities with medical soundproofing features. Whether the medical business is constructing a new medical facility with soundproofing equipment or modifying an existing facility with updated and upgraded soundproofing measures, these businesses have to understand the ins and outs of medical facility soundproofing. Whether you’re wondering how to soundproof a hospital or how to soundproof an exam room in a private medical office, we can help you decide which soundproofing solutions will best fit your needs. If you’re constructing your medical business from the ground up or just working with a few soundproofing problems in your existing facility, we have the solution. To help determine your particular needs, we’ve provided a list of the numerous acoustic solutions for hospitals on the market today and detail how they can work to soundproof and secure any medical facility. Multilayer facilities such as hospitals often have people roaming above and below examination rooms. Unless properly equipped and protected against it, most flooring will transmit the sounds of any and all conversations and movements, which can be both distracting and entirely unsecure. Mute these sounds and keep doctor-patient conversations private between floors with appropriate hospital soundproofing, namely soundproof floor underlayments. Highly rated for sound and vibration reduction, these soundproof underlayments may be used to retain heat in a room and guard against mold and mildew, keeping your facility’s heating and maintenance bills down. Regardless of the style of your facility, you can maintain maximum exam room soundproofing no matter how loud the upstairs and downstairs patients are. Most medical facilities use drywall to separate one room from another. Supported by simple wooden studs, these permanent dividers serve most buildings well, but they lack the soundproofing needs required for medical facilities, especially when these walls contain no insulation. This lack of soundproofing is because the void space between drywall slabs carries sound from one side of the wall to the other. Even when this void space is filled with insulation, the common studs between rooms vibrate in response to sound, which is enough to carry noise between rooms. The most efficient exam room soundproofing solution for these walls is a sound isolation system. Soundproof Cow offers the IsoTRAX™ Soundproofing System, which works by floating a wall over the studs instead of attaching the wall directly to the studs. This removes the common studs, stopping the transfer of sound waves. The result is an easy-to-install, strong and soundproofed wall that will help your medical facility maintain compliance with HIPAA regulations. While drywall is often used for medical facility walls, cinderblocks are nearly as common. Even more common, however, are drop ceilings. Both cinderblock walls and drop ceilings pose similar issues as drywall when it comes to proper soundproofing. Drywall-covered walls, cinderblock walls and drop ceilings all allow noise, including conversations, to carry from one room into another through the shared void space. In order to soundproof a medical office properly, these void spaces have to be filled. An effective solution to the problem is to install soundproof insulation in these void spaces, preventing soundwaves from carrying between rooms. Quiet Batt™ 30 Soundproofing Insulation is a premium, high-performance soundproofing product designed for use in interior and exterior walls and ceilings. Simple to use and cut, this soundproofing insulation is designed for easy tucking and cutting so you can install it between studs and around vents and electrical wiring. In addition to providing high-quality soundproofing, Quiet Batt™ also offers improved temperature control, making rooms more comfortable while cutting overhead heating and cooling costs. Any or all of these soundproofing measures installed throughout the construction process will guarantee your patients quiet and secure rooms free from outside noise and secure from eavesdroppers. Your new facility will be safe from any intruding ears. When working with an existing building, soundproofing may not always be top-notch. Between drafty doors and thin walls, if the building wasn’t originally built as a medical facility, you may need to make a few changes. This can also be true if you are rearranging an existing medical facility and find soundproofing problems in a newly repurposed room. If you find such problems, it doesn’t mean you need to tear the place down. A few basic changes here and there can make all the difference without taking a sledgehammer to the new wallpaper. A few basic post-construction soundproofing methods include the following. Hospitals and clinics feature a wide variety of medical machinery. From X-ray machines and MRIs to medical computer systems, specialized medical equipment is necessary for a variety of modern medical procedures. Soundproofing an MRI room to reduce the noise from X-ray machines is just as necessary. The sounds created by these machines, as well as sounds outside of their rooms of operation, can be disturbing and distracting to technicians and patients alike. These rooms need to be free from such noises, while simultaneously allowing patients the privacy and security HIPAA requires. To that end, MRI and X-ray rooms can be equipped with custom foam composite barriers and enclosures. Sound-deadening wall barriers can hang on the wall to deaden sound in the room, while high-quality enclosures can be installed around the equipment itself to prevent sound from escaping. These sound-deadening materials minimize the effect of the sound both inside and outside the room, improving the auditory comfort of both patients and technicians. To discuss options in custom composite barriers, talk with a Soundproof Cow representative about your equipment sound-deadening needs. Doors are a common source of sound issues. Doors between rooms may have gaps or spaces between the frame or floor and the door itself, allowing sound to come through. Unless properly handled, this can be an enormous risk to a medical facility’s HIPAA compliance. This is especially common in buildings that are converted from an office space to a medical care facility or in older buildings, where antique doors shrunk by age and wear may pose a problem to HIPAA compliance. Even if the doors are brand-new constructs made out of aluminum and rubber, that doesn’t mean they are soundproof. Instead of replacing all your doors with soundproof alternatives, you can soundproof your existing doors. Though soundproof doors are good option in pre-constructed buildings, those of you with especially expensive or antique doors may find this a welcome alternative. These soundproofing solutions include door seals and sweeps. Door sweeps use the same materials along the bottom of the door to seal the space between the door and the floor. When used in combination, these soundproofing tools provide a thorough soundproofing solution for nearly any door. Even better, these solutions only require the use of a few hand tools, rather than heavy equipment, so you can have your exam room doors properly soundproofed in a matter of minutes. When working with an existing building, you may find you’ll need to work with some unfavorable design and construction choices. One such unfortunate choice is the drop ceiling, which, as discussed earlier, can pose a problem when soundproofing exam rooms. If these drop ceilings are missing the proper soundproofing measures, or you simply want the added security, adding soundproofing into the drop ceiling’s void space can be a cost-effective way to improve soundproofing between rooms. Quiet Batt™ 30 Soundproofing Insulation is an easy-to-use solution for nearly any soundproofing concerns. Designed for use in interior and exterior walls and ceilings, this insulating material can be installed by anyone around vents and electrical wiring. Additionally, installing soundproofing insulation in ceiling spaces can help maintain comfortable room temperatures, making your examination rooms as comfortable as they are secure. In combination, all of these soundproofing measures, both pre- and post- construction, result in completely private and comfortable hospitals and exam rooms. Whether you are looking to reduce the noise in your existing facility or build your facility with pre-installed soundproofing measures, Soundproof Cow has everything you need to maintain HIPAA compliance. If you want to learn more about how to soundproof your medical facility, or are looking for a superior collection of soundproofing products form a reliable source, Soundproof Cow can help. With over 15 years of experience in the acoustic industry, Soundproof Cow knows just about everything there is to know about soundproofing and acoustic insulation. We pride ourselves on offering knowledgeable service to answer even the most difficult soundproofing questions, offering you the best support possible throughout your designing and purchasing process, no matter how big or how complex your project. Here at Soundproof Cow, we know how important it is to maintain the confidence of your patients. Since the 1990s, we’ve strived to uphold our values of education, communication and responsibility, working every day to keep updated on the latest in soundproofing news so we can better help our customers. Our company upholds those same values today, working hard to offer the best service and advice for any thermal or acoustic insulation needs, no matter the industry. 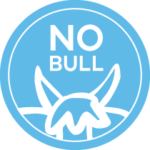 Contact us any time to speak with an account manager about any problems or questions you may have in your soundproofing journey, and we’ll provide you with reliable and accountable service with a “No Bull” guarantee. Call us today for a free and complete acoustic analysis of your medical facility to see how Soundproof Cow can help you improve your HIPAA compliance.